COMSAT has been named an awardee under the Complex Commercial SATCOM Solutions (CS3) contract with the U.S. General Services Administration (GSA). This 10-year, multiple-award Indefinite Delivery/Indefinite Quantity (ID/IQ) contract has a maximum value of $2.5 billion. Via the COMSAT awarded contract, Government users will now have on-demand access to resilient, flexible and scalable alternatives to augment their military satellite communications with Inmarsat’s BGAN or Global Xpress SATCOM as a Service, under a variety of data rate plans and terminals, whenever needed. 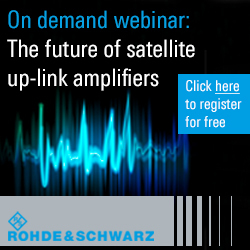 COMSAT adds a unique value in its secure terrestrial network that interconnects Inmarsat's infrastructure to its own global core Multiprotocol Label Switching (MPLS) network. The network supports Non-classified Internet Protocol Router/ Secret Internet Protocol Router (NIPR/SIPR) services over the Inmarsat Global Xpress and BGAN networks and enables the Department of Defense (DoD) to deploy globally with a robust information assurance posture. 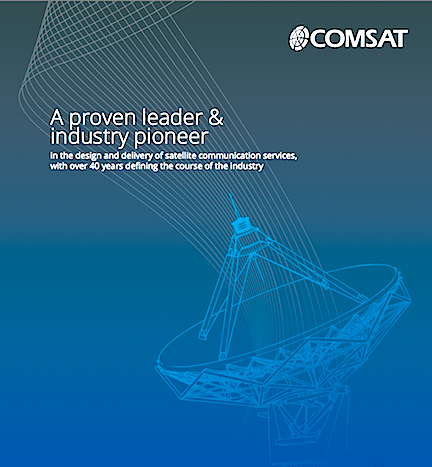 David Greenhill, President of COMSAT said that COMSAT is very pleased to have been awarded the Complex Commercial SATCOM Solutions contract by GSA. This award reflects COMSAT’s trusted relationship with the U.S. government and its ability to deliver global, secure, reliable communication solutions enabling mission success. He added that they understand the U.S. Government’s growing need for flexibility, resiliency and efficiency worldwide, and they are committed to delivering innovative, advanced connectivity services the way government users need it: simple, affordable and operationally available—anywhere, anytime.